1 package of 144 ivory Meadow Lark plastic charms. 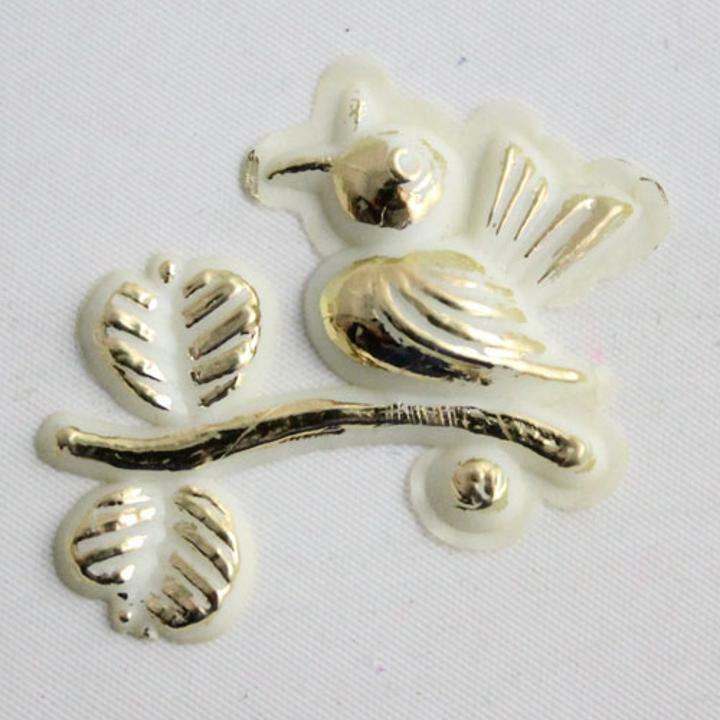 Each elegant charm features a gold hot stamped robin on a leafy branch. Plastic charms are great for decorating tables, favors, wreaths, Capias, scrap-booking and crafts. See our full selection of plastic charms, party favors and gift supplies.